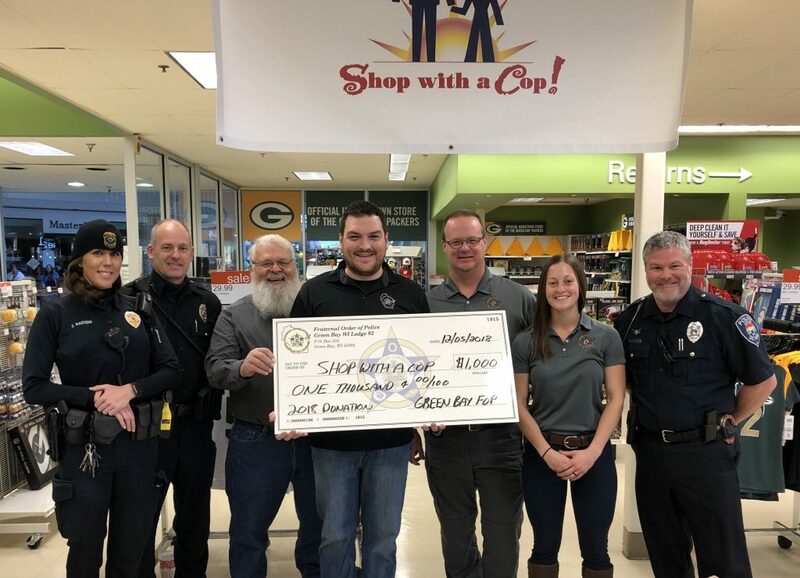 On December 5, 2018, several Green Bay FOP board members presented a $1,000 donation to the Shop With A Cop-Brown County program. The Shop With A Cop program pairs local officers with needy children in the community and gives them an opportunity to buy presents to give to their family for Christmas. The children and officers have breakfast together, shop for people on their list, and wrap presents together. The best part of this program is the relationships built between these children and law enforcement. This years event will be held on December 18, 2018. To donate to this important program, visit Shop With A Cop-Brown County’s Facebook page.